April will be over before we know it, and what does that mean? 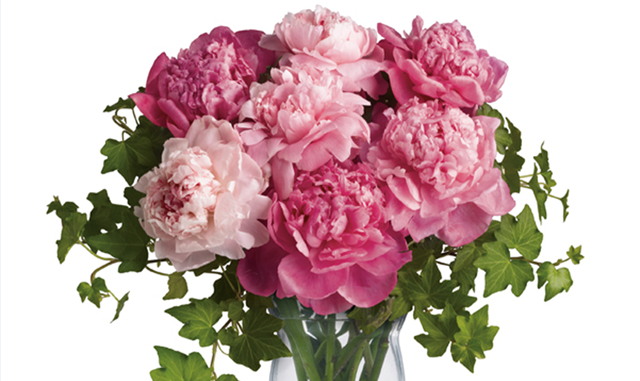 My favorite flower comes into season…PEONIES! Depending on the weather, these are usually available from late April through the beginning of June. Our friends and neighbors at Stapleton Floral here at the 200 Seaport Boulevard location (and also their location in Southie!) already have them in, and are currently featuring light pink and peach varieties! Whether you are picking the perfect host gift for a spring time BBQ, choosing your wedding florals, or dressing your own dinner table, there is no better way to celebrate the season than enjoying gorgeous flowers. As an added bonus, when you are selecting flowers that are in-season, they cost less, are easier to source, and are at the peak of beauty with the most vibrant colors and best varieties!